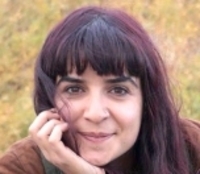 The Muş 2nd Heavy Penal Court announced its verdict in the case of journalist Seda Taşkın, who was released on probation after being detained in Muş on December 20, 2017 and was arrested again in Ankara upon the objection of the Prosecutor's Office on January 22 yesterday (October 10). The hearing was attended by the Free Journalists Initiative Spokesperson Hakkı Boltan, P24 reporter Özgün Öçer, the Muş MP of the Peoples' Democratic Party (HDP) Sevin Coşkun and the journalist friends of Taşkın. While Taşkın's attorneys Gulan Çağın Kaleli and Ebru Akkan appeared in court, Taşkın, who has been held in Sincan Closed Prison in Ankara, attended the hearing via Audio and Visual Information System (SEGBİS). Presenting her last statement of defense, Taşkın did not accept the charges which have been pressed against her. Her attorneys Kaleli and Konak also referred to the verdicts of the Constitutional Court and the European Court of Human Rights (ECtHR) relating to freedom of the press and demanded that Taşkın be released on probation. The court board of the Muş 2nd Heavy Penal Court ruled that Taşkın shall be sentenced to 3 years and 4 months in prison on charge of "propagandizing for a terrorist organization" and 4 years and 2 months in prison on charge of "aiding and abetting a terrorist organization as a non-member". Taşkın has been sentenced to a total of 7 years and 6 months in prison. Detained on December 20, 2017 in Muş and released on probation, Mezopotamya Agency reporter Seda Taşkın was arrested in Ankara again on January 22, 2018. Speaking to bianet, Taşkın's lawyer Ebru Akkal said that the arrest decision was made by Bitlis Criminal Judgeship of Peace, which heard the case upon Prosecutor's Office's objection to the initial verdict.